As the national pundits weigh in on President Trump’s first 100 days in office and the General Assembly careens toward its self-imposed crossover deadline for legislation, it’s worth considering how Governor Roy Cooper has fared in his first 100+ days on the job. He reached that threshold a couple of weeks ago with little fanfare. 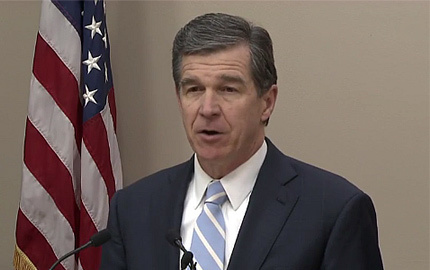 There were a few news reports and an interview or two, but most of the political world was still assessing the fallout from the partial repeal of HB2 and monitoring the latest efforts by the General Assembly to take powers away from Cooper that previous governors have held. The 100-day threshold also felt less noteworthy because of the way Cooper’s term began and what happened before he took the oath of office. He was sworn in at the unusual time of just after midnight on January 1—and for good reason. Cooper was worried that he might need to make emergency appointments or veto something that legislators could pass in a hastily called special session the first week of January. That was not an unfounded fear. Republican legislative leaders convened an unannounced and possibly unconstitutional special session just four days before Christmas to take powers away from the newly elected governor. The last minute proposals changed the way elections and ethics boards operated, required Senate confirmation of his cabinet appointees, reduced the number of key state jobs he controlled, changed the way the courts were run and took power away from the State Board of Education that the governor appoints. Cooper fought those changes in court and has won or is winning on every issue except the confirmation of his cabinet, though every nominee to come before the Senate was confirmed easily thanks to the quality of the appointees. It’s quite a change in Raleigh to have eminently qualified cabinet secretaries who actually believe in protecting the environment and expanding important services to families who need them. The power grabbing by the General Assembly has continued throughout the 2017 legislative session. Just this week lawmakers were considering legislation to take more judicial appointments away from Cooper and passed another version of the election and ethics restructuring plan that a court recently rejected. With all that, it’s amazing that Cooper has managed to get anything accomplished in his first 100+ days, but he has. The stage for his first term was set early in January when he told a business audience that he had three immediate priorities, expand Medicaid, raise teacher pay to the national average, and repeal HB2. Legislative leaders and right-wing pundits were apoplectic about his call for Medicaid expansion, filing a lawsuit to stop it and pointing to the uncertainty in Washington around health care as a compelling reason why expansion didn’t make sense. Cooper laid out his plan in February for raising teacher pay ten percent over the next two years. A couple of weeks later he released his full budget recommendations, a reasonable proposal that starts to repair the damage done in the last few years to public schools, higher education, early child programs and other vital state institutions. Cooper says it was the best he can do given the intractable position of the Republican supermajorities in the House and Senate but that doesn’t make it right. He has however vowed to fight for statewide protections for LGBTQ North Carolinians and that’s a promise he must keep. 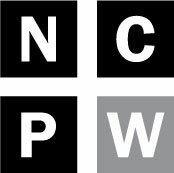 That is not to suggest that North Carolina is anywhere close to returning to its mildly progressive ways of the last decade—the regressive legislation is still rolling out of the General Assembly every day—but at least now there’s a powerful counterweight in the governor’s office with a different vision of North Carolina’s future than the one held up by the folks who have been in charge in Raleigh for the last four years.